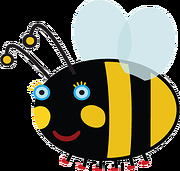 At Buzz Bee Kids we mix new and gently-used merchandise to give you the best choice in terms of value, quality and design. We are your local one-stop shop for kids' clothes, toys and equipment, buying and selling beautiful new and preloved items. As a customer you can make money and save money; recycling the quality items little ones have grown out of or simply just go shopping!